It’s HERE!!! It’s FINALLY outdoor PATIO season. 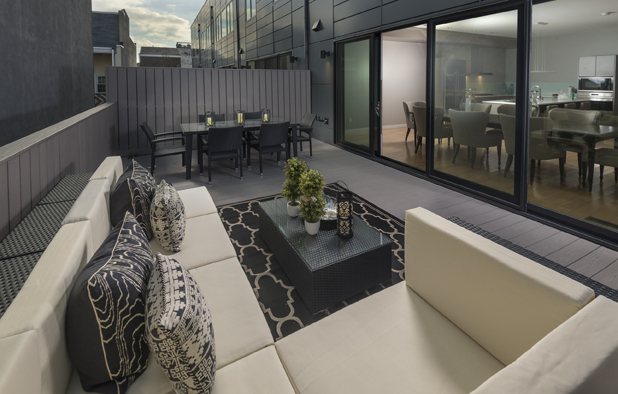 Outdoor spaces are an extra “room” in our homes, an extension of what our home can offer and a place where we can decorate. It’s a place where we can have fun with color, accessories and fabrics! This is my personal FAVORITE time of the year! I try to have people over once a week so we can sit outside and enjoy this beautiful season! To me, my patio is another room in the house. It is as if I had an extension to my living room! This area should be a place where you can relax after a long day at work or with the kiddies! It can be an extended dining room, a lounge area with plush pillows, candles, fun accessories and a fabulous outdoor rug or it can be BOTH!!! Best of both worlds is always perfect! We do love to make all events around food and yummy drinks so why not have an outdoor space that people never want to leave! If you are in the suburbs or a city, or if it is a large space or small; you can make the best out of that outdoor space! 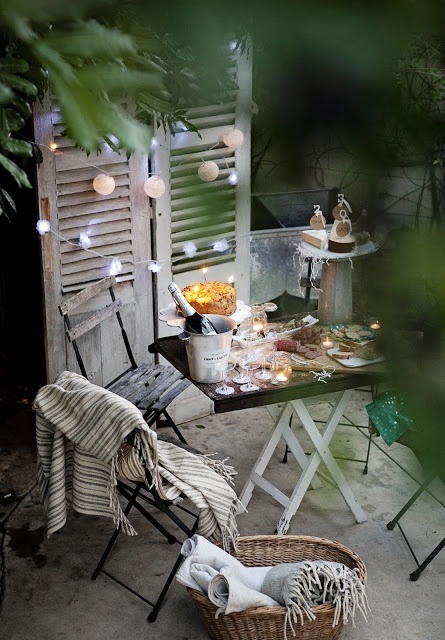 THINK lanterns, planters, texture, fabrics (such as canopies), or even peel and stick wallpaper or contact paper on a divider from a city neighbor! ANYTHING to create an oasis of happiness and enjoy Mother Nature! Even though it is a luscious space make sure to make it your own regardless of size and keep it simple and sweet! Don’t overcrowd!! And make sure to extend your colors from your home, remember it’s an outside extension living area. And please make sure to add light! 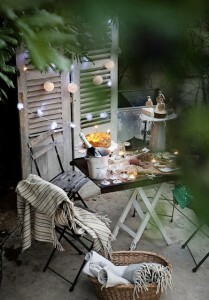 Even if you are on a budget, string lights can make a space look like a piece of heaven! 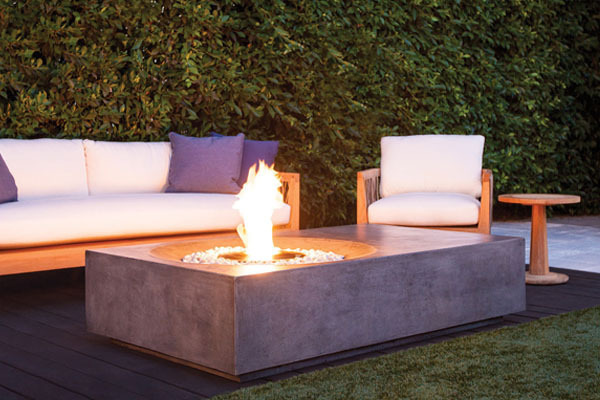 We are OBSESSED right now with Fire-Pits! Who isn’t?? A relaxing space with a little heat on a chiller night, makes you feel like you are at a bond fire! If you are on a roof deck, large solar lamps are EVERYTHING this season! 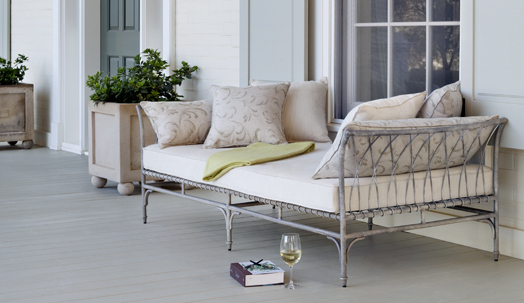 Here are a few of our favorite spaces and furniture that makes us super happy for this outdoor season! Photography by: Bella B Home, Brown Jordan, Frontgate, Lane Venture, Restoration Hardware, Summer Classics, Telescope Casual and Zuo Mod! Photography by: Bella B Home, Restoration Hardware, Telescope Casual, Zuo Mod, Brown Jordan, Frontgate, Lane Venture and Summer Classics! This entry was posted in MUST HAVE LIST, Outdoor Patio, Summertime Ideas! 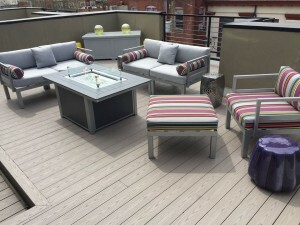 and tagged Bella B Home, Brown Jordan, decorating ideas, decorato, Frontgate, home decor, interior, interior design, interiors, Lane Venture, Outdoor Patio, Restoration Hardware, Summer Classics, Telescope, Zuo Mod on April 27, 2015 by Blair.